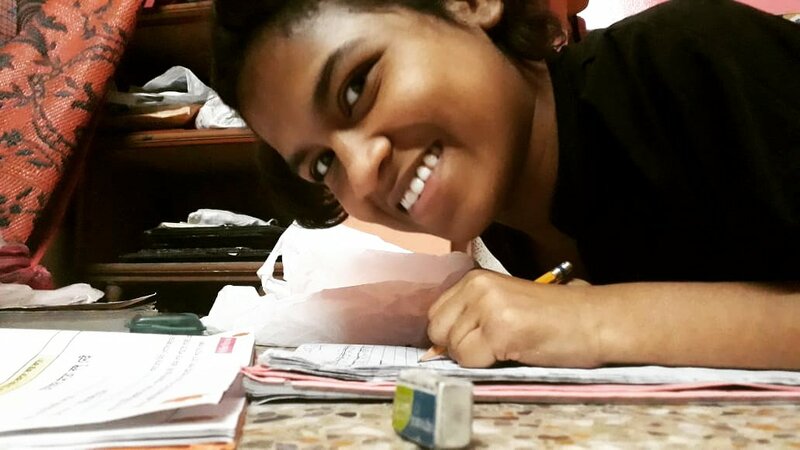 Before coming to shuktara Nandita admits she had no experience with handicapped children. Previously she taught cooking, reading and health classes at Shikshamitra (an alternative school in Kolkata). 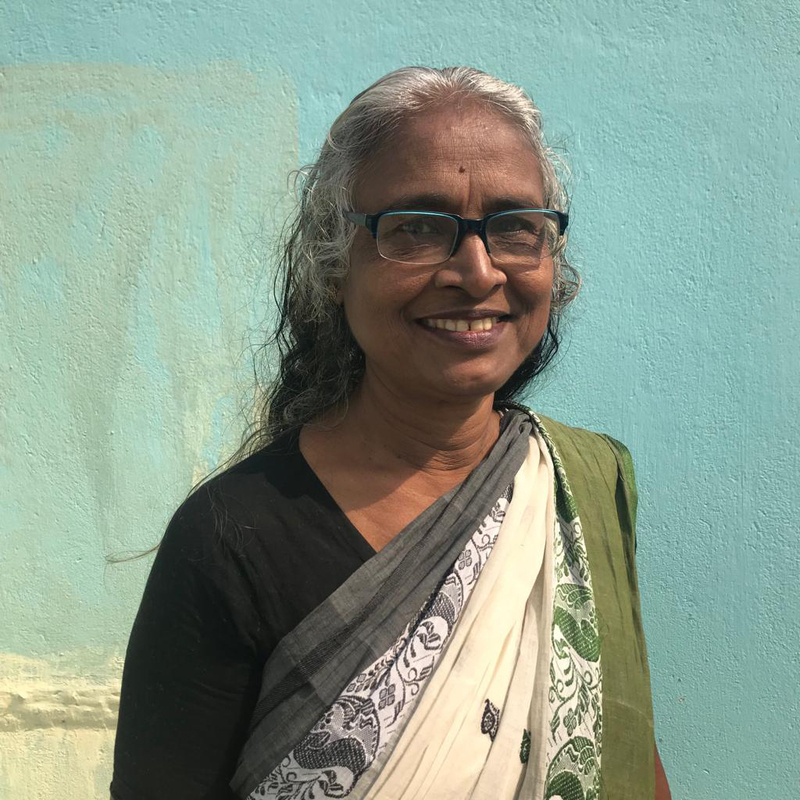 Although she bought books to learn about working with children with disabilities and read extensively – what she ultimately found is that there is “no difference” between the children she taught at Shikshamitra and the girls at Lula Bari. She talked about the girls’ attempts to learn stitching. 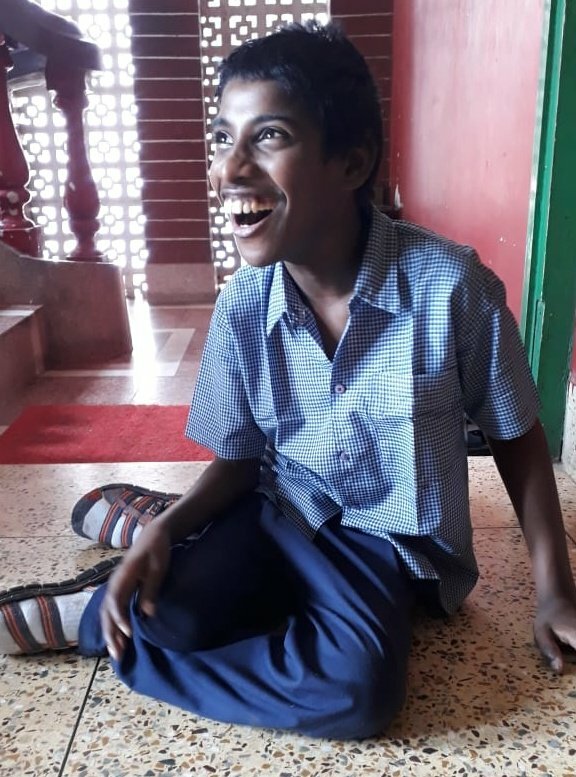 At first she thought “they cannot do anything” – especially Guria who has Cerebral Palsy with minimal motor skills. She started out using colors and paper to give an idea of sewing. Then she gave the girls cards with patterns and needle and thread. Within two days they finished their cards and went on to embroider cloth. Now they are all doing amazing stitching – even Guria! Nandita said that all of the staff love the girls very much and like a mother, it’s important to give moral support and develop good habits and behaviour. She’s seen definite changes in behaviour over the time she’s been in Lula Bari – she talked about how much calmer Tamina is now than when she started. She has been amazed by how the girls learn everything very quickly, for example they can use Facebook and WhatsApp, something the women caregivers in the home cannot do. She feels if Guria gets proper guidance from her teachers that she will go far.